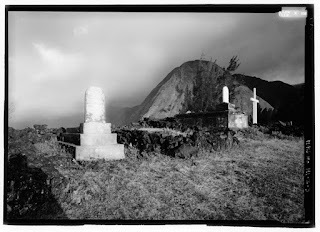 In the paradise that is the Hawaiian island of Moloka'i, on the outer most edge of the peninsula, at the base of the highest sea cliffs in the world, lies the Kalaupapa village, once home of the infamous Kalaupapa Leprosy Settlement. It is still home to six of the surviving sixteen leprosy patients. The survivors range in age from 73 to 92 years old. From the 1860's through 1969, as many as 8,000 leprosy patients were forcefully exiled to this location to live out their lives. Over a thousand, mostly unmarked graves border the village. Over the years, numerous Catholic missionaries, dedicated their lives to helping the exiled. Some eventually died of the disease themselves, most famously Father Damian, who became a Saint for his martyrdom of charity. Many, if not most, of the female patients in the village, gave birth to healthy children at some time during their exile. These children were forcefully taken and given up for adoption. Their records sealed or lost, most never knowing of their parents or original bloodlines. After the exile quarantine was lifted, long after leprosy cures were common practice, most of the survivors chose to remain in the village because they were either too disfigured or too traumatized to return to the outside world, having known no other life, or outside family, for so long. 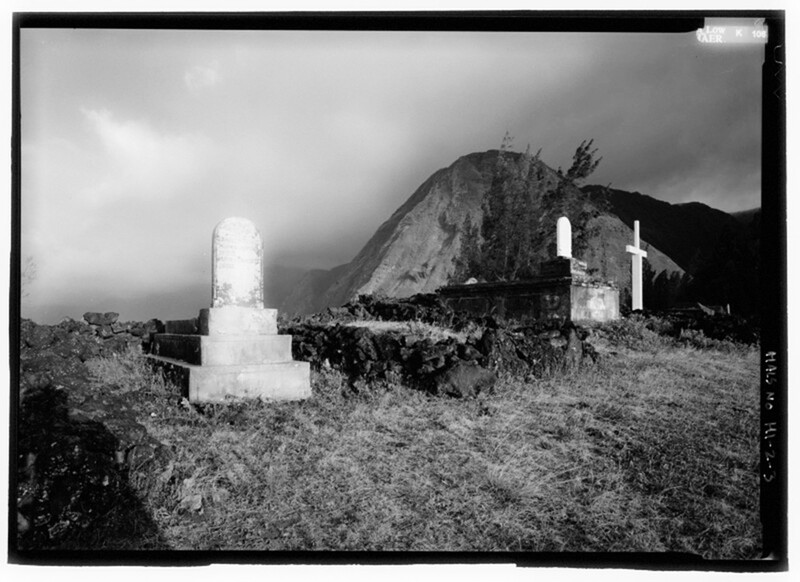 Island locals consider the village a sacred place, because of what occurred there. It is now a national historical park. Controlled numbers of tourists, excluding children, are allowed access to the area, which is in many ways stuck in time and pristine in its natural elements. There is great debate what should happen to the community and surrounding lands once the last of the surviving patient dies, and how it should be protected. For a survivor, even in its simplicity, that is a powerful statement. Funerals are somber ceremonies, full of grief and memories of the lost. Often, people come out of the woodwork to attend, for there is a camaraderie to the event. People seeking solace with others and sharing recollections of the deceased. It is an important step for those who are living. It's a time of reflection on a life and allows for closure. However, it does nothing to lift the spirit of the individual lost. Those faced with fighting trauma and illness often feel very alone and isolated. Although it can be very painful and daunting to be present during such a struggle, it is the time when support and comfort are needed most. Survivors need help surviving, and dying can be extremely hard. There is great strength in basic companionship. Hope can be born in the simple task of holding another's hand during their darkest hours. Fear eases within time spent with family and friends. Love is felt very deeply, often in its truest, most simple forms, when shared during complex times of struggle. Do not wait for grief. Do not allow for regret. Give of yourself while those living are alive. Share these precious moments while you can. It is the greatest gift you can give another person and one of the greatest you will ever receive. Give love while someone can still feel it. Be present while they know you are there. Heal a heart before you mourn a person. Read more about the fate of the colony at The Atlantic.